Asociación de Amigos del Órgano de Palencia | Fundada en 1992, la Asociación de Amigos del Órgano de Palencia tiene como principal objetivo estudiar, investigar y divulgar la música de órgano en cualquiera de sus aspectos. The Asociación de Amigos del Órgano de Palencia was founded in 1992, its main goal being the study, the research and the information about organ music in all its aspects. 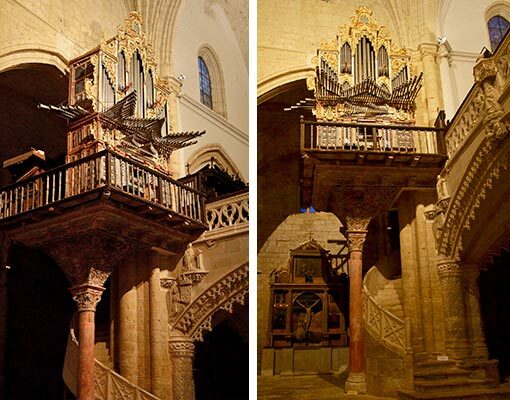 That is why this association felt the need for organising and providing formative activities addressed to organists and scholars, who could also experience the magnificent historic organs from Palencia, everything supported by prestigious professors. 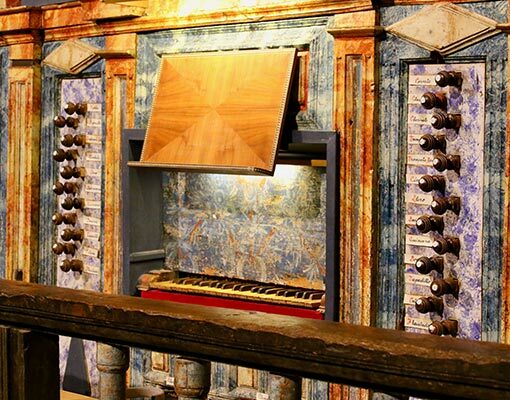 San Hipólito el Real Organ Church – Támara de Campos. And this is how the 1st Academia de Órgano Fray Joseph de Echevarria took place in the summer 1997. Its name pays homage to the celebrated Basque organ builder, who conceived the organ of Palencia cathedral, so representative for the Castilian “organería” in past times. The Academia is financially supported by the Excelentísima Diputación Provincial de Palencia and they both cooperate in the organization of the International Music Festival of Palencia with regards to organs. They also provide the participation of national and international important artists as well as the maintenance of the historic organs where recitals are given. This association also wants to thank those who have generously contributed with their effort and encouragement to recover the heritage of the organ building and its music. Special thanks to the first members who started the Academia and to the priests who open the gates of their churches so generously year after year. Órgano de la Iglesia de San Hipólito el Real – Támara de Campos.